Along with our efforts to keep our members informed of impacting legislation, we encourage participation among our members to educate their legislators on the issues which affect physician reimbursement and healthcare regulations which, potentially adversely affect patient’s access to care in our state. The Florida Legislative Liaison and the Florida MGMA work with the MGMA's Department of Governmental Affairs to inform members of issues affecting our medical practices at the National Level. We work with Physicians Associations and Medical Societies to provide the most current information regarding issues pertaining to the State. In an effort to help facilitate Florida MGMA's federal advocacy efforts., National MGMA-ACMPE has provided us with a link to their grassroots center. 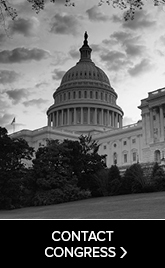 This link will send you directly to the MGMA Legislative Action Center, where Federal updates and grassroots messages are routinely updated by MGMA government affairs staff.